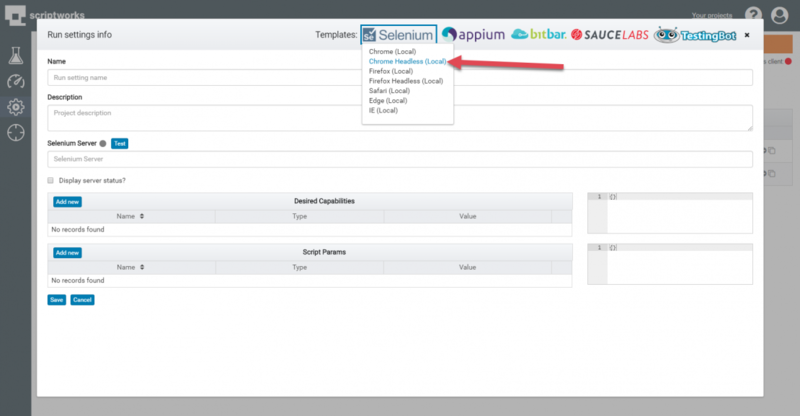 Please note that all Cloud Providers (Saucelabs, Bitbar, TestingBot) also include a sign-up link for the services below the templates. 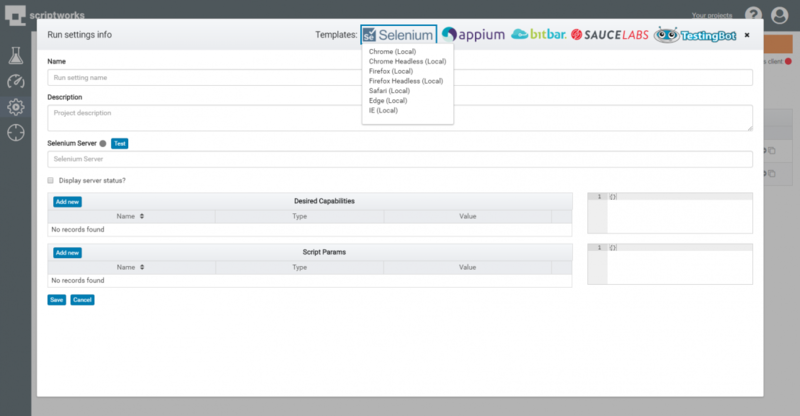 You will be presented with a drop down list of the available Selenium Templates. 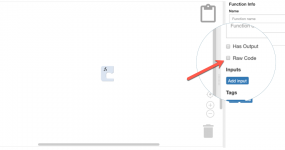 In this example we will be adding a Chrome Headless Run Setting. 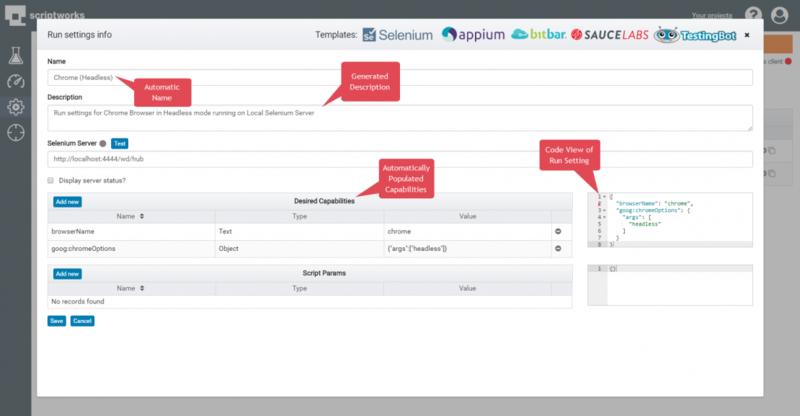 All Configurations can be configured to use Desired Capabilities for Selenium or Appium and cloud Providers. 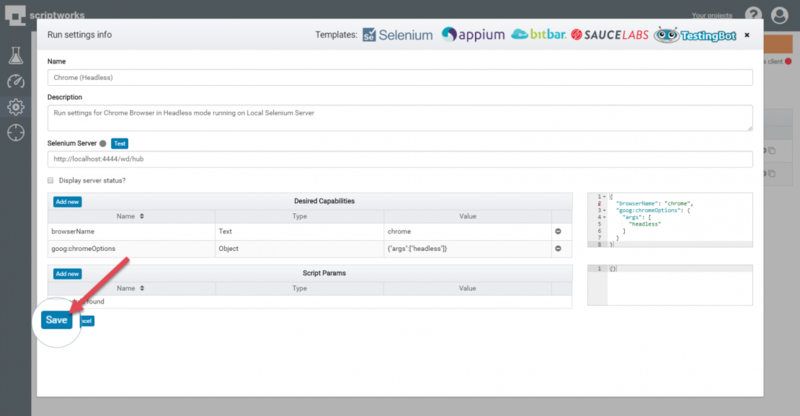 Please note that Templates will include blank Desired Capabilities for each integration if you are stuck with Defaults. 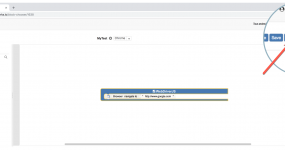 A quick 5 minute introduction to creating and running your first Scriptworks test.